A live collaborative experiment with choreographer Sasha Welsh, composer J Why and performers Laurie Berg, Cindy Chung Camins, and Cynthia St. Clair. Trace Decay was developed through an intense improvisational process between the artists-performers and our home movies and ephemera ranging from 8mm films shot in the 1940’s to VHS and audio-cassette. These movement-based performances explored processes of memory, both cultural and personal, and the experience of the passage of time. Trace Decay is an evening length multimedia performance that was presented at Triskelion Arts in Brooklyn, New York in 2009 and at A Window on the Work at Swarthmore College, Swarthmore PA in 2008. Trace Decay was also presented in-progress at venues throughout New York City including Kinetic Cinema at IRT, Body Blend at Dixon Place, RAW Material at Dance New Amsterdam, and Movement Research’s Open Performance at Dance Theatre Workshop. 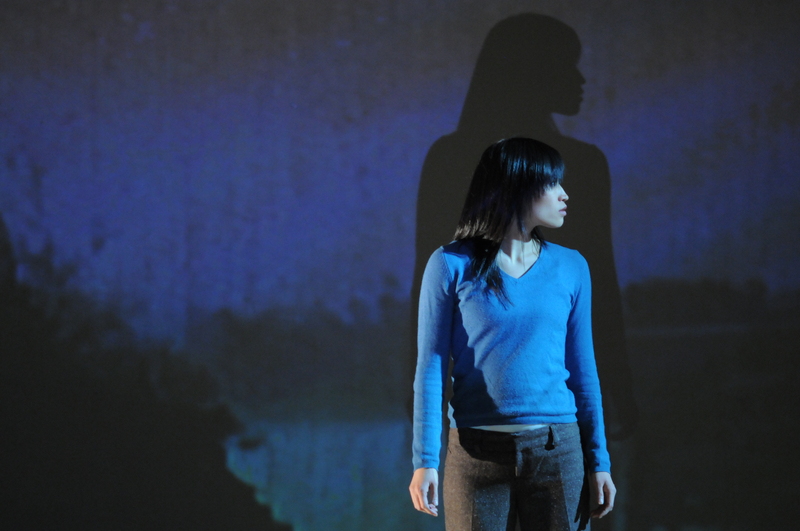 The development of Trace Decay was supported by The Swarthmore Project, a residency program for choreographers and dancers sponsored by Swarthmore College in Swarthmore, PA.